Azerbaijan’s trade and wine houses are planned to be opened in China’s Shanghai city. 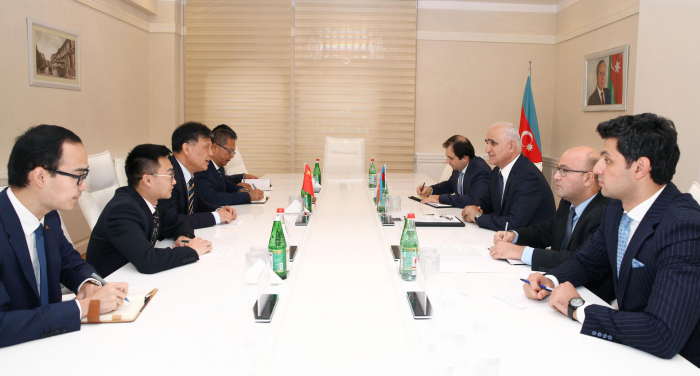 This statement was made during a meeting between Azerbaijani Economy Minister Shahin Mustafayev and Chinese Ambassador to Azerbaijan Wei Jinghua. Mustafayev said that Azerbaijan pays great attention to cooperation with China, relations between the two countries are developing successfully. During a meeting it was stressed that in 2017 the trade turnover between the countries amounted to $1.3 billion. It was also stressed that the trade representative office of Azerbaijan operates in Beijing. The Trade House of Azerbaijan opened in September 2018 in the Chinese city of Liuzhou will contribute not only to the expansion of trade and economic relations between the two countries, but also to the recognition of Azerbaijani products in China and cooperation in the sphere of culture and tourism. However, a wine house also opened in the Chinese city of Urumqi. Trade and wine houses are also planned to be opened in Shanghai. All this will contribute to the development of trade relations with China. The minister stressed that Azerbaijan’s relations with China are developing in the areas of logistics, trade, investments, tourism and the humanitarian sphere. The sides were updated about the advantages of the Trans-Caspian transport corridor and stressed the importance of promoting the capabilities of this corridor in China. Jinghua stressed that China is interested in the development of relations with Azerbaijan and shared his opinion on the prospects for the development of cooperation.